Does Size Matter With Flasks? This stainless steel container carries 8 oz of your choice drink. Beautiful hip flask for women. 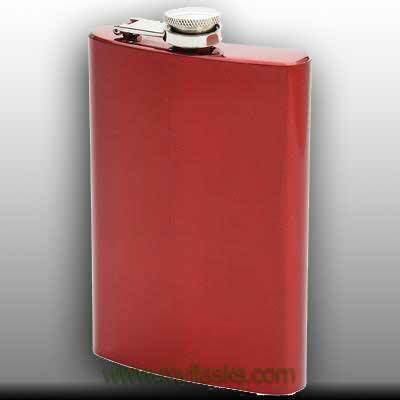 Flask is crafted in fashionable red metallic paint finish and screw-down cap. Measures 3-5/8” x 5-3/4” x 7/8”. Limited lifetime warranty. White box. You'll get a COUPON you can use today for signing up.